AIBE Admit Card 2019: The All India Bar Examination (AIBE) will be organized by the Bar Council Of India (BCI) and will release the admit card on Dec 19, 2018. The AIBE 13 is the national level exam for those candidates who passed their law degree and willing to do practice in the respective field. In the 11 different languages, the exam is conducted across the 40 different cities of the country. All the eligible candidates will get here the complete information regarding the AIBE (13) 2019 Admit Card. The date regarding the AIBE XIII 2019 is released by the council on the official portal allindiabarexamination.com. Candidate can check the dates from the table given below. Here we also mentioned the All India Bar Examination XIII Exam Admit Card details such as starting of the registration, payment, releasing date of admit card etc. Finally, after giving the introduction about the admit card of the All India Bar Examination, now the students who will appear in the exam is required to download their admit card. 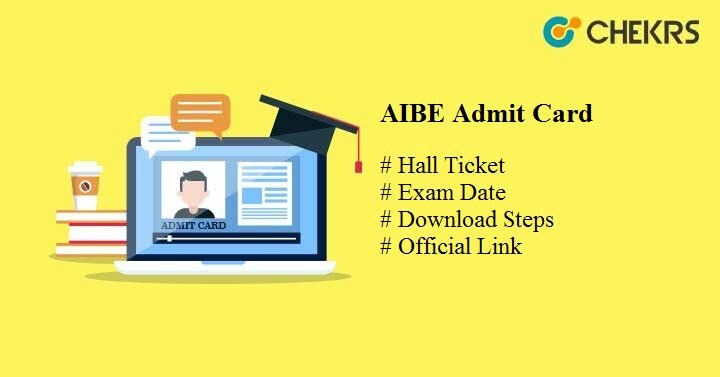 So we are mentioning here some steps from which the candidate can see the process of AIBE Admit Card 2019 Download. The steps are as follows. After successfully filling the application form and downloading the admit card of the AIBE (13) from the official site students needs to crosscheck the details which are mentioned on it. We are giving here the some of the points which are mandatory to be available on the AIBE 13 Hall Ticket. The details are as follows. All the candidate needs to carry the entrance exam admit card along with the one ID Proof on the day of the examination such as Aadhaar Card, PAN Card, and Driving License etc. All the student needs to reach at the examination hall at least ½ an hour before the exam is started. Please cross check the detail which is mentioned in the AIBE Admit Card in case if there is any error then candidates were not allowed to sit at the examination hall. Don’t tear up the admit card as it will be used in the future. After giving the exam students need to check their result. The Bar Of Council will announce the result of the All India Bar Examination XIII Exam on the Dec 3rd week, 2018. All the candidates are able to check their AIBE xiii Result through the online mode on the official portal allindiabarexamination.com. That’s all students regarding the AIBE Admit Card 2019. We hope the details given here will help the candidate to get the admit card. If there is any query please mention it through the comment box we will give the solution of that query as soon as possible.